Brain damage or spinal cord injury is one of the most debilitating injuries that can befall a victim. Although this type of injury is not always visible, it can cause physical, cognitive, and social impairment. Serious brain injuries can be devastating for both the victim and the victim’s family. These types of damages are not only the most expensive, but also tax personal and financial resources. Persons who have suffered a brain injury or spinal cord injury need the best care possible. Unfortunately, serious brain injuries are often permanent. The most common impairments resulting from TBI (Traumatic Brain Injury) include problems with memory, mood, and concentration. Most often timing is critical to insure the best results. A laceration or tearing of the brain, usually from a skull fracture or gunshot wound. This results in rupture of large blood vessels with bleeding into the brain. A contusion is a visible bruise on the brain. Hematomas are a swelling or mass of blood in the brain caused by a break in a blood vessel. Diffuse Axonal Injury (DAI) is caused by strong rotational forces of the head, such as with a car accident. The unmoving brain lags behind the movement of the skull, causing brain structures to tear. There is extensive tearing of nerve tissue throughout the brain which can disrupt the brain’s regular communication and chemical processes. Concussions are caused when the brain receives trauma from an impact. The blood vessels in the brain may stretch and cranial nerves may be damaged. Sometimes, a person may experience a brief loss of consciousness (not exceeding 20 minutes). Anoxic brain injury occurs when the brain does not receive any oxygen, and hypoxic brain injury results when the brain receives some, but not enough oxygen. Major head trauma can dramatically alter one’s life. 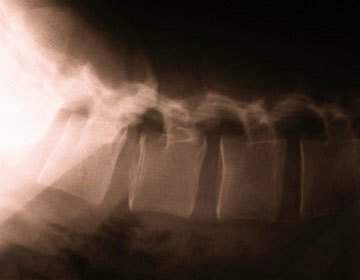 Experience with head or neck injury is paramount to building a nerve damage case. Many times, irreversible brain damage leaves victims needing not only present rehabilitation, but life care plans. Attorneys unskilled or experienced in brain injury cases can limit recoveries for not taking into account the future needs of clients. Doctors specializing in physical medicine, brain surgery, and neurology should be consulted and utilized throughout the case. Contact Benson and Bingham if you or a loved one have sustained a traumatic brain or spinal cord injury. We understand the exact needs of such cases, and we want to help you get the care and compensation you deserve. Traumatic brain injury causes the most horrific physical and mental damages. Often the crash involves the frontal lobe of the brain. The head impacts the steering wheel or the windshield causing a crack in the frontal lobe of the brain. These types of injuries cause horrific mental problems including confusion, emotional uncertainty, anger, impaired memory, forgetfulness, slowed thinking, emotional outbursts, decreased libido, PTSD, depression, attention deficit disorder, argumentative, and other psychological issues. These mental components cause serious problems in family relationships and one’s overall well being. 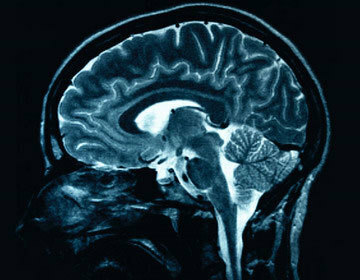 Neurological components of treatment include clinical testing, diagnostic testing, and other forms of brain testing. Victims of car accidents who face these injuries need specific medical treatment and counseling to help them deal with the particular issues that traumatize their lives. Sadly, these issues can disturb every facet of a injury victim’s life. Economically, a brain injury victim is likely disadvantaged in the workplace and will not be able to perform at the levels previous to the injury. If you or someone you love, has suffered a frontal lobe brain injury due to a violent collision call Benson & Bingham today. Similar to Brain Injuries, Spinal Cord Injuries Often Lead to Permanent Impairment.